For the regular visitors to my blog, you may remember a post from last year called http://wp.me/pY4YW-4kV. 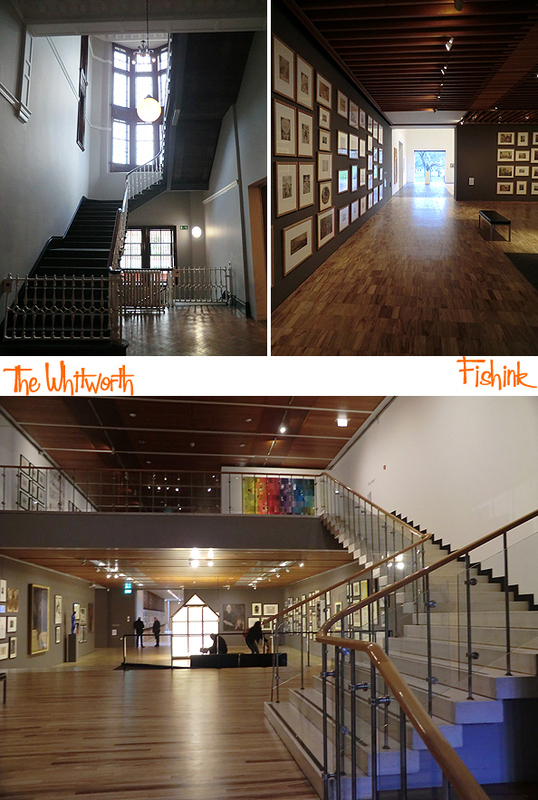 The Whitworth in Manchester, UK is hosting a great exhibition on Tibor’s work right now, and it is on until August 2016. For those of you who won’t get to see it for yourselves, here is a sneak preview. 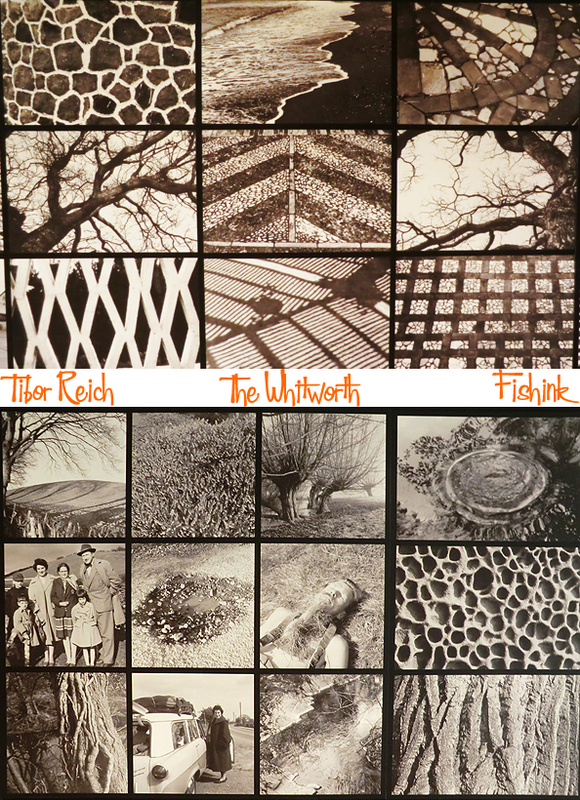 Beginning with some of Tibor’s photography from the 1950’s and 60’s. Texture and pattern played such a big role in his world. 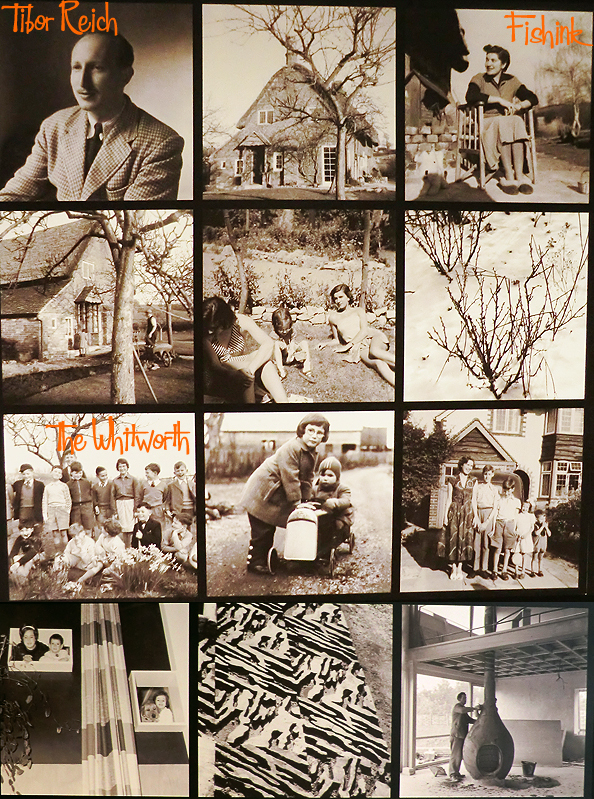 His family and home life looked idyllic. He even created his own ceramic fireplace (dubbed the ‘Flaming Onion’) in the heart of his self-designed home. 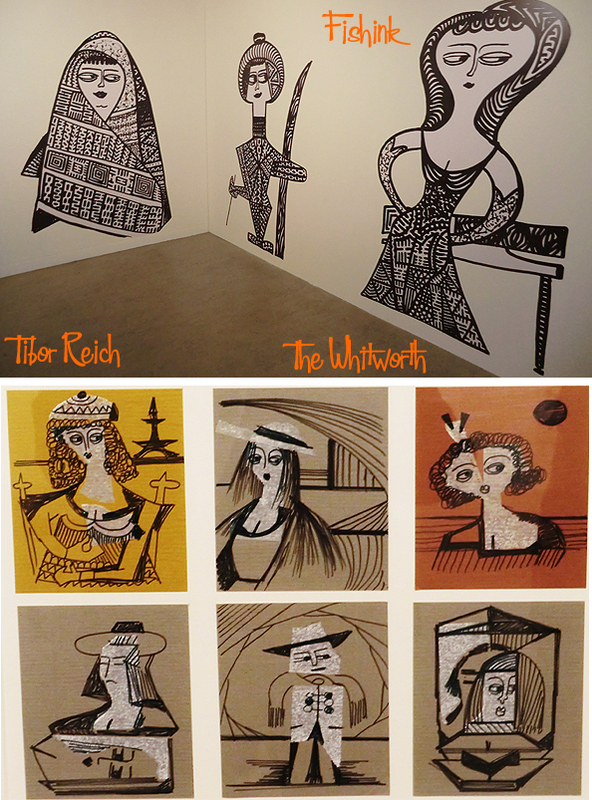 His drawings were the key to developing his work. Tibor drew on anything that was to hand from chocolate box covers to the cardboard inserts from stamps. For him, each surface presented an opportunity for mark making. 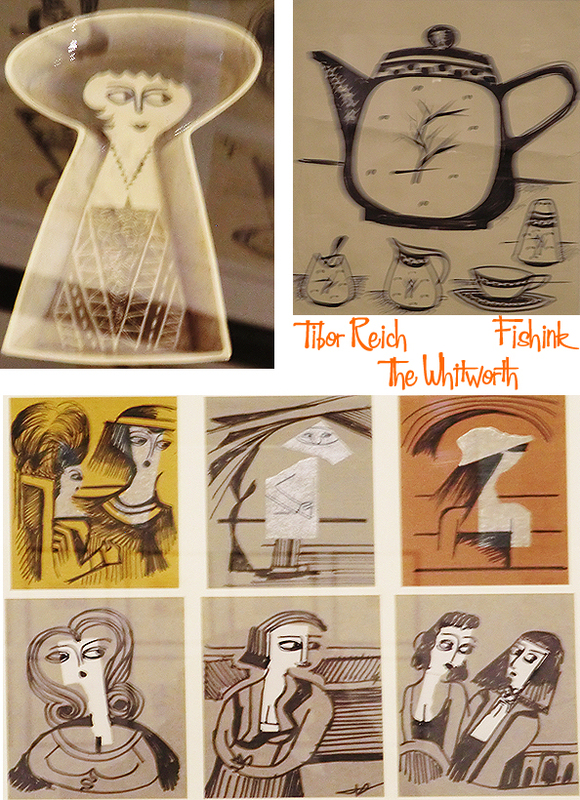 You can see how his sketches made perfect ceramics. 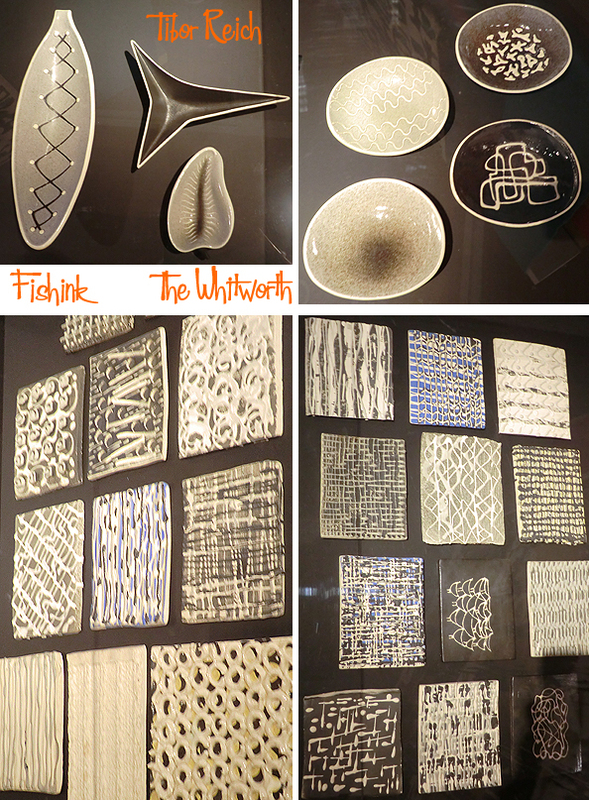 (Apologies for the blurry images, it was tricky getting better shots because everything was behind glass and had many relections). These ladies are full of character. In the early forties Tibor developed his own range of magic-marker pens to speed up the design process. 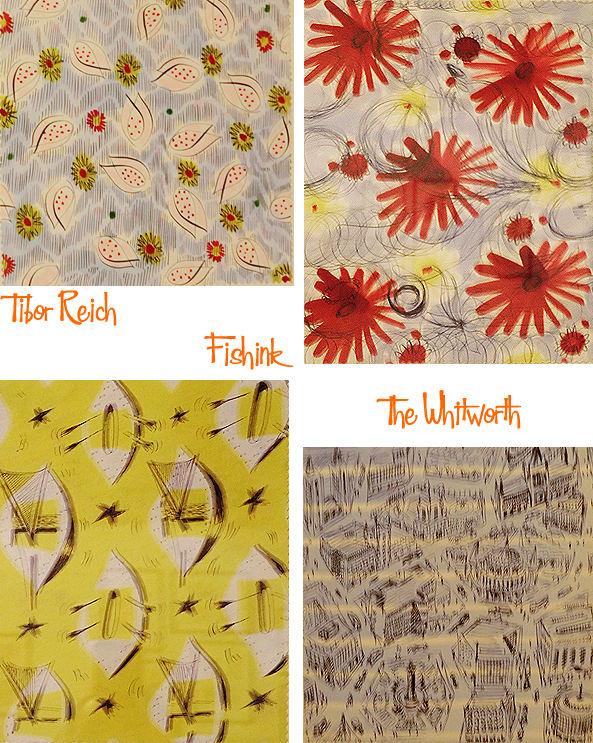 Some of the repeats below were included in ‘Original Designs for Textiles’ held at the Cotton Board, Manchester in 1943, alongside works by Henry Moore and John Nash. 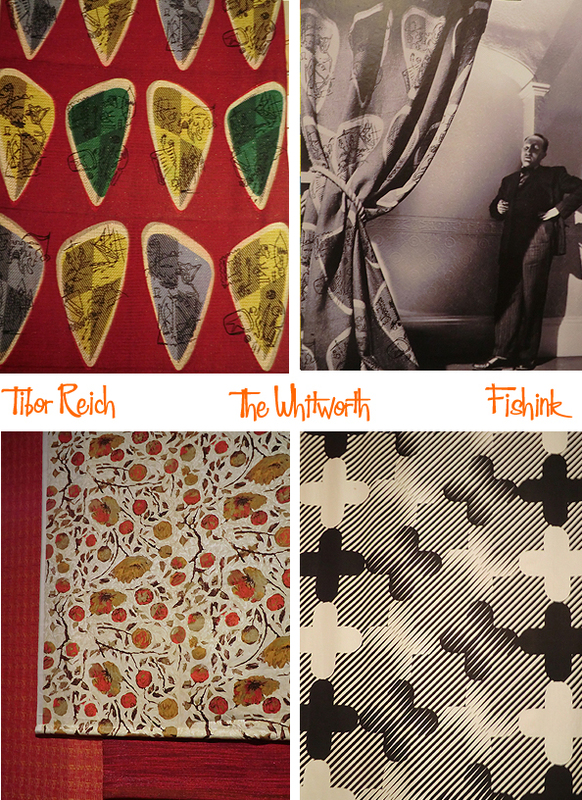 they were later used by couture houses including Molyneux, Hardy Amies and Norman Hartnell. 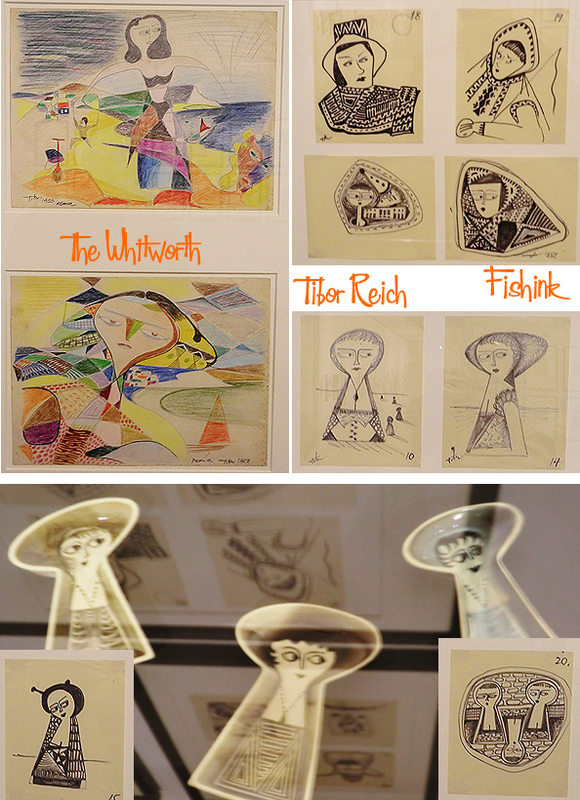 These drawings were from Tibor’s teenage years in Budapest in the early thirties. 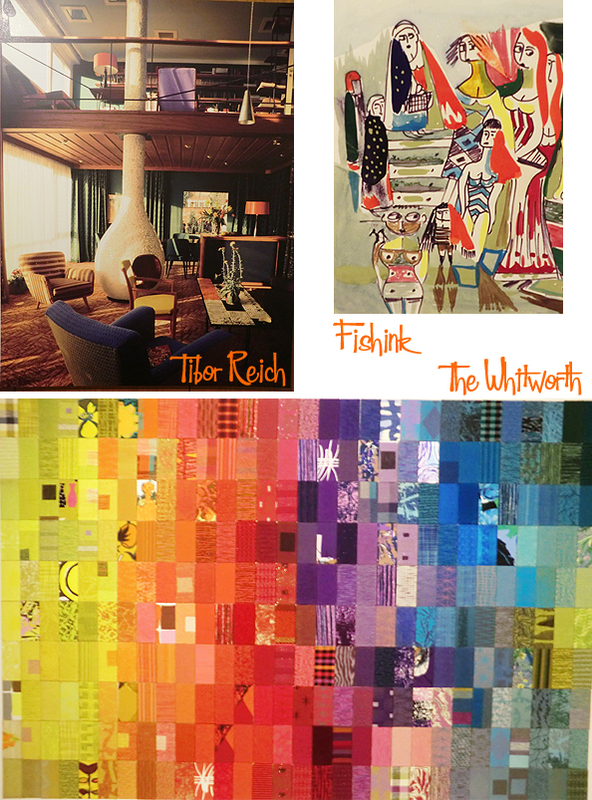 They illustrate Tibor’s early interest in patterns and textures created by a building’s cladding. 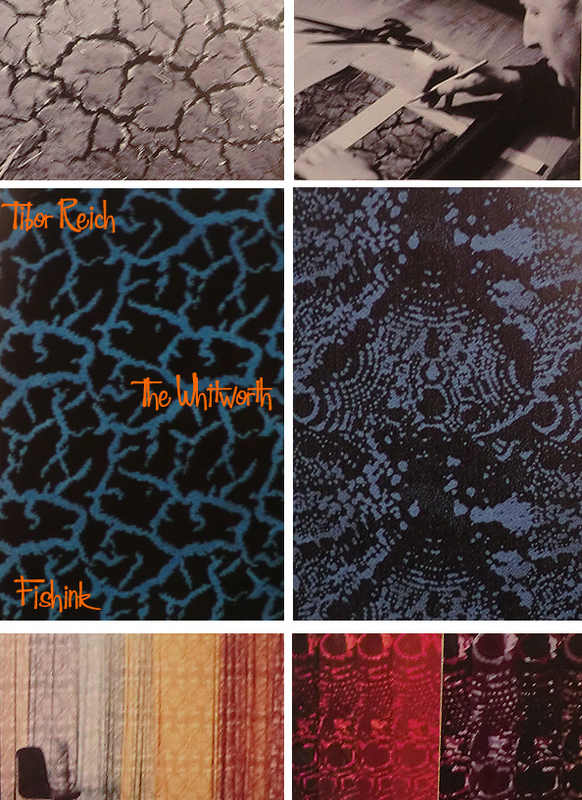 You can see here how Tibor’s photographs were translated into his textiles. He certainly had a love for colour. Tibor took his photographs and made a positive and negative of parts of the images. 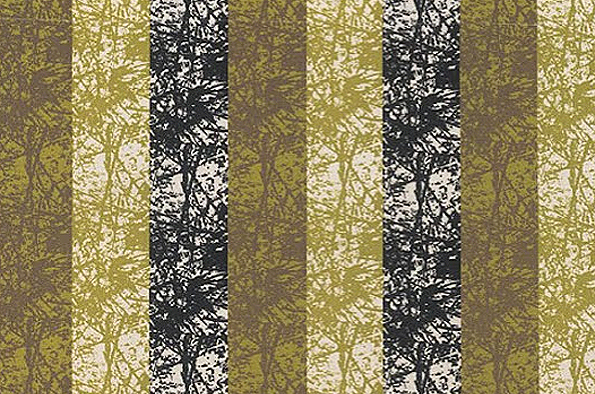 Arranging the prints in a way that created ‘virtual texture’, the resulting range ‘Fotexur’ was launched in 1957 to great acclaim. A design called ‘Flamingo’ (below) won the first ever Design Council award for a textile design of the year. 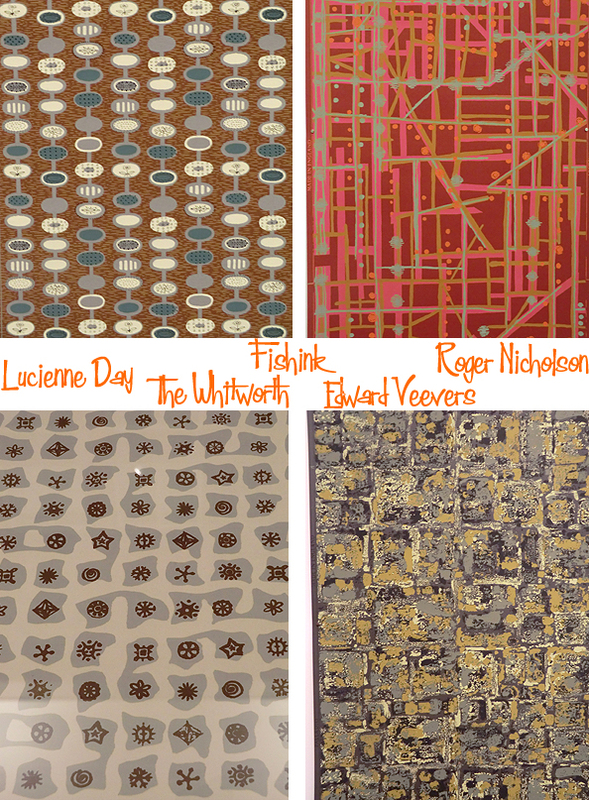 As Britain entered a new era of affluence in the 1960’s, the focus of design moved from reconstruction to revolution. Tibor’s bright and bold colours harmonised with contemporary artistic trends of psychedelia involving freedom of colour and composition. 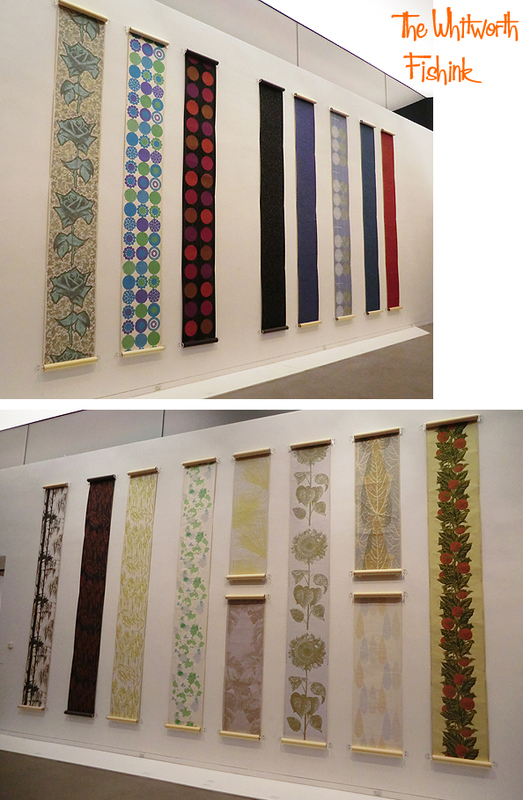 One such Op Art inspired design called ‘Opatia’ was awarded the Cotton Board Design Award and later used on the QE2. 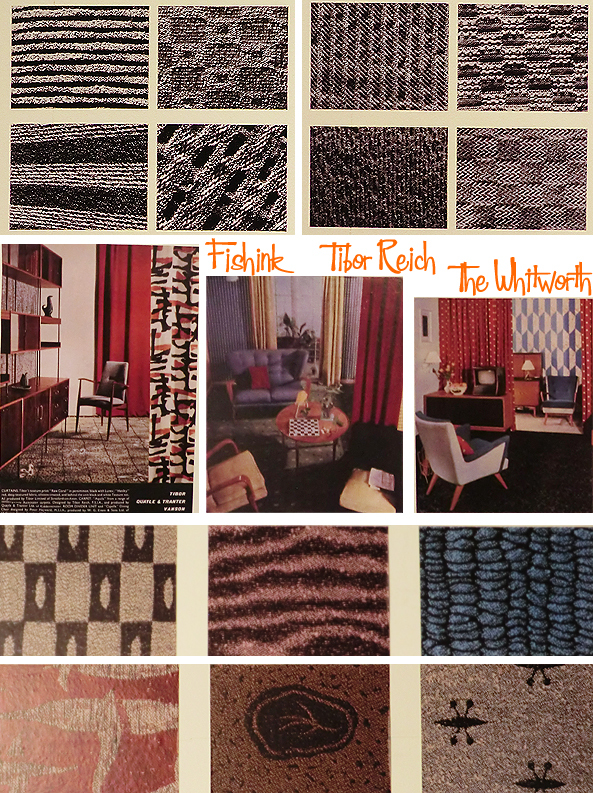 In 1964 Tibor fabrics launched it’s Sloane Street showroom and ‘Design for living centre’ in Stratford-upon -Avon. 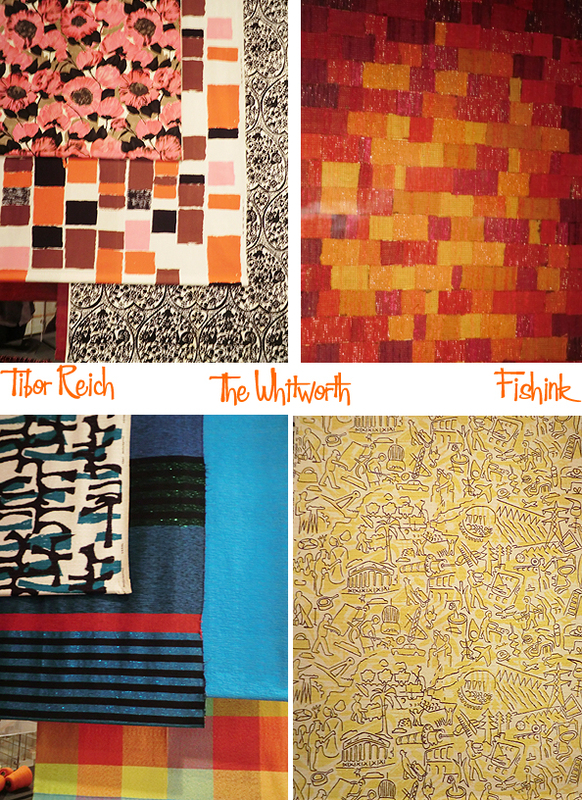 Whilst tastes and fashions changed, Tibor’s textiles continued to capture the beauty of nature and essence of the hand crafted appearence within mass produced products. 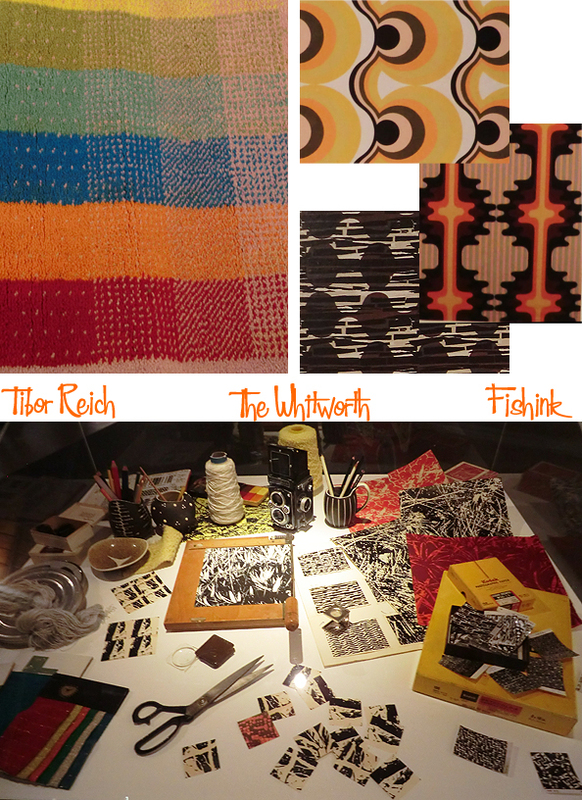 In 1973 Tibor received the Textile Institute Design Medal for his contribution to 20th century textile design and his influence on public taste. 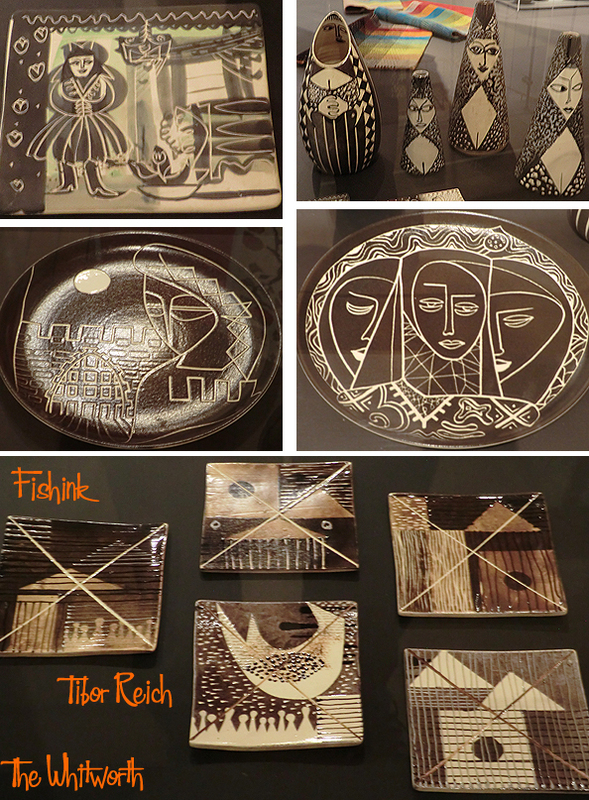 Here’s a small selection of his vast ceramic range, some wonderful shapes and designs here. This bird on the right (below) is a favourite of mine. 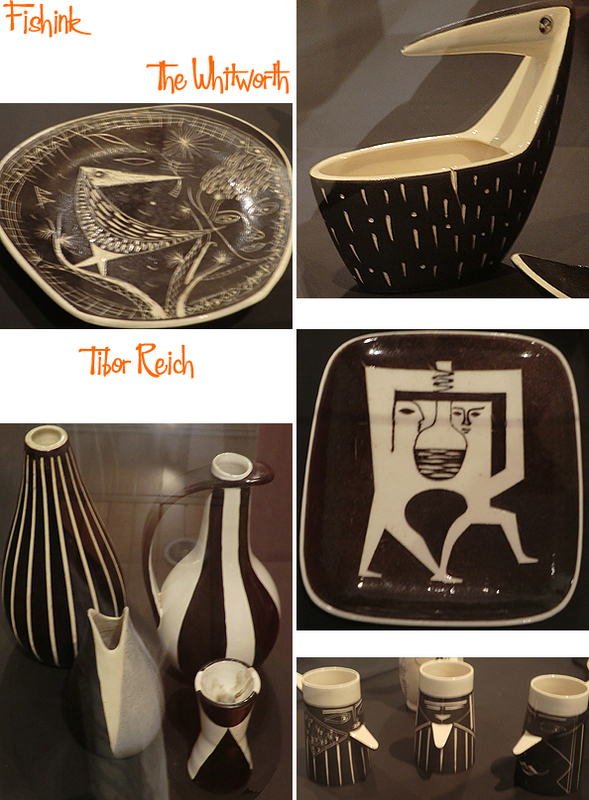 For more info on Tibor check out his site here. 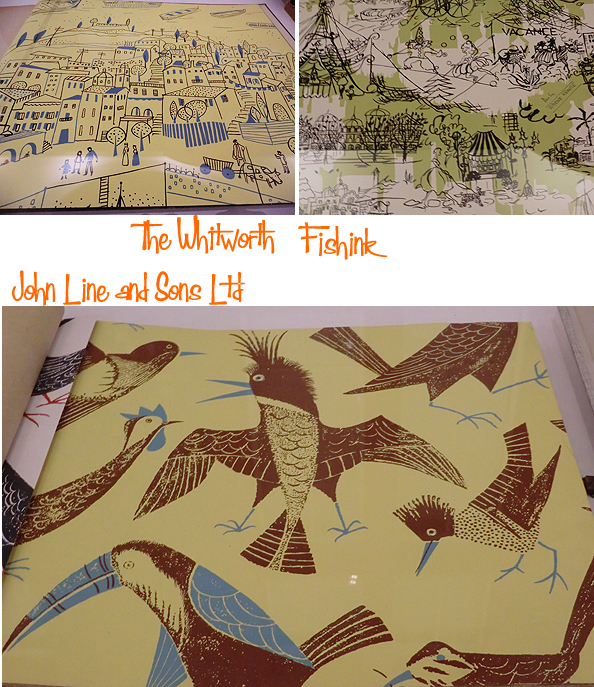 There was also a great wallpaper exhibition on at the moment. What fabulous designs ! Of course this bird design (above) was also right up my street! 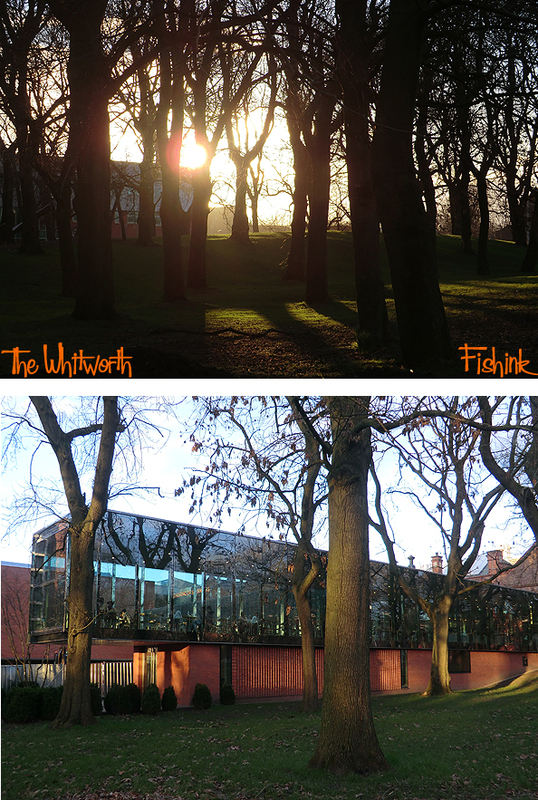 The Whitworth is such a beautiful building, it’s always been on my favourite list of places to visit, and it’s plain to see why. On a sunny day, you can almost believe you are miles away. 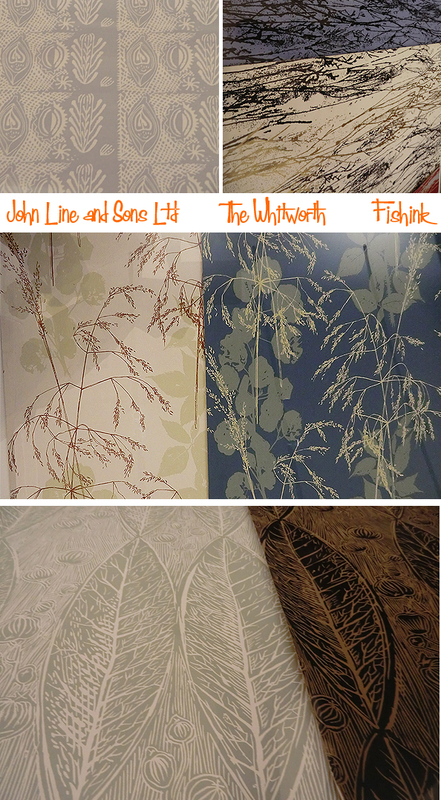 Designing wallpapers and fabrics.. perhaps! 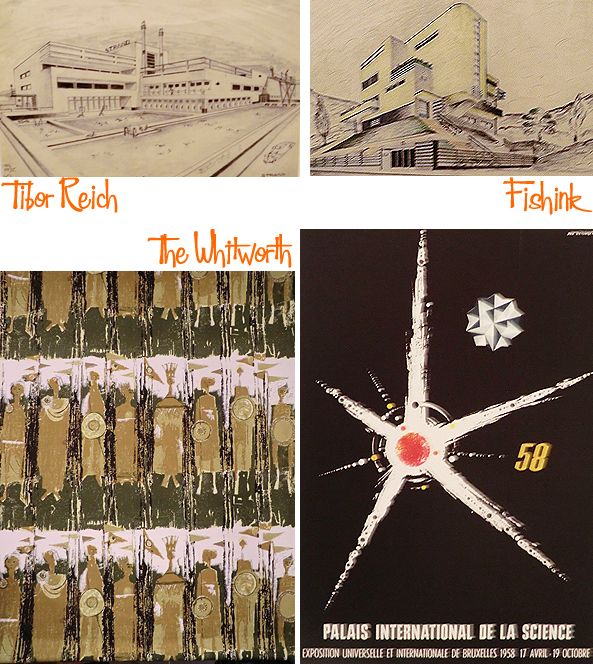 Fabulous blog on the wonderful Tibor Reich. 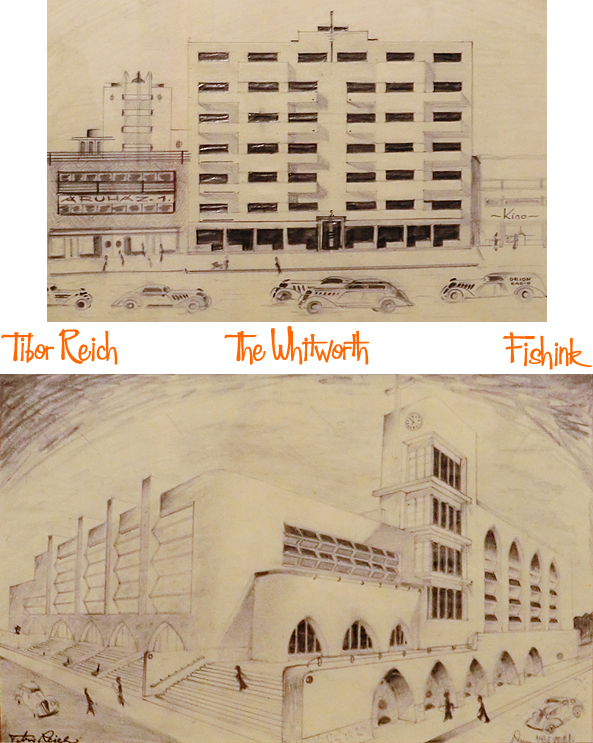 Thank you I really enjoy your blogs and Lisbon and now Tibor Reich…. Heaven! May I reblog this post on my blog? Reportage vintage di uno dei blog che seguo e ammiro. such a lot of wonderful detail and pictures. It was great to see you at Gt. Northern Craig.